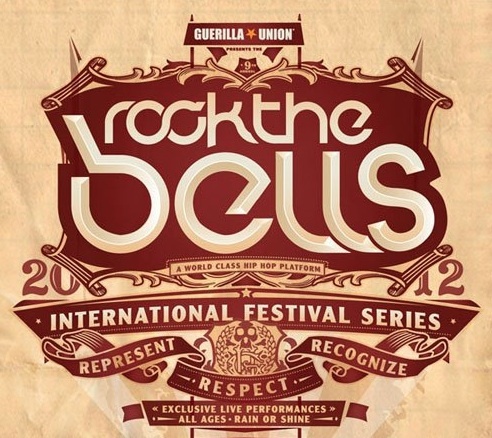 Hip hop’s seminal music festival series Rock the Bells will return in 2012 with a trio of two-day events at NOS Events Center in San Bernardino, California (8/18-8/19), Shoreline Amphitheatre in Mountain View, California (8/25-8/26) and PNC Bank Arts Center in Homdel, New Jersey (9/1-9/2). Featured on this year’s lineup are Nas, Kid Cudi, Wiz Khalifa, Deltron 3030, Missy Elliott and Timbaland, J. Cole, Lupe Fiasco, Kendrick Lamar, Atmosphere, ASAP Rocky, Dipset, Mac Miller, Immortal Technique, 2 Chainz, Yelawolf, Murs, ScHoolboy Q, Prodigy, Ice Cube, Naughty By Nature, Big Daddy Kane, Slick Rick, Salt-N-Peppa, Zion I & The Grouch, The Hit Squad, and Dom Kennedy. In addition, Method Man and Redman will perform their debut LP Blackout in its entirety, while Bone Thugs-N-Harmony will tackle their sophomore album E. 1999 Eternal in full. Pre-sale tickets will be available beginning May 18th, with the general on-sale following on the 19th. Visit the festival’s website for more info.